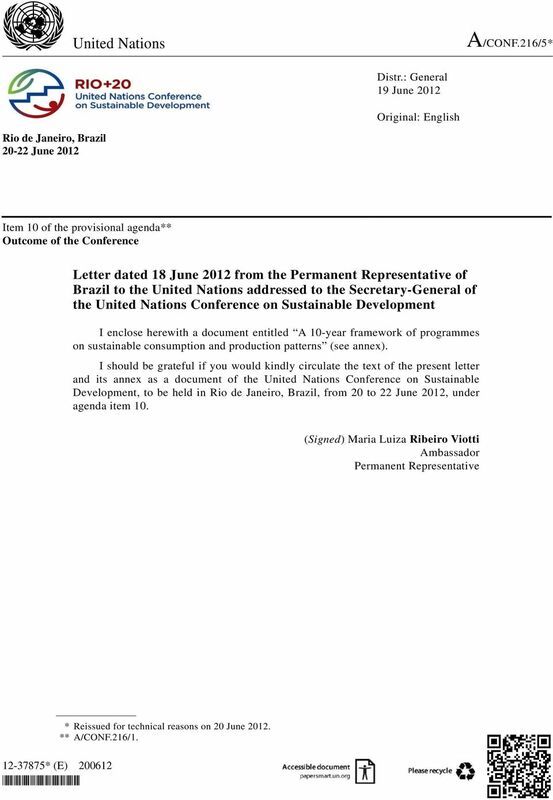 Download "Original: English Rio de Janeiro, Brazil 20-22 June 2012"
1 United Nations A/CONF.216/5* Distr. 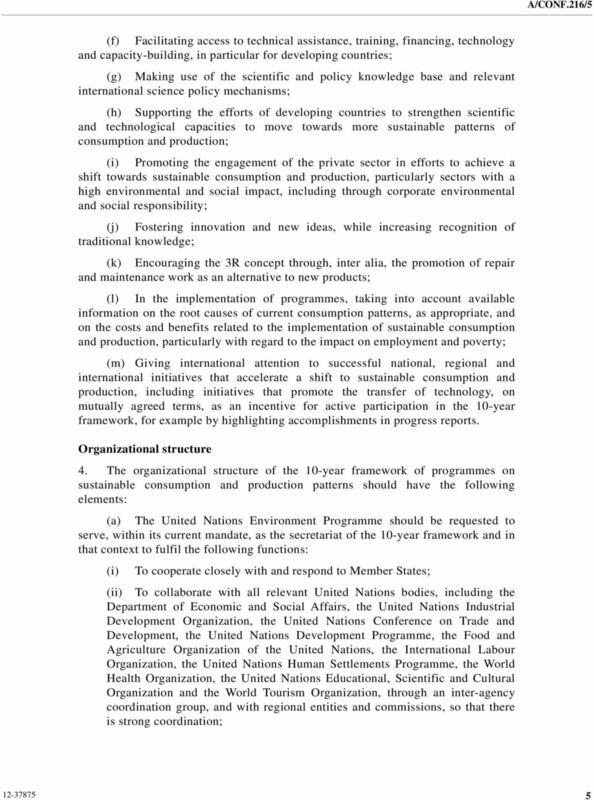 : General 19 June 2012 Original: English Rio de Janeiro, Brazil June 2012 Item 10 of the provisional agenda** Outcome of the Conference Letter dated 18 June 2012 from the Permanent Representative of Brazil to the United Nations addressed to the Secretary-General of the United Nations Conference on Sustainable Development I enclose herewith a document entitled A 10-year framework of programmes on sustainable consumption and production patterns (see annex). 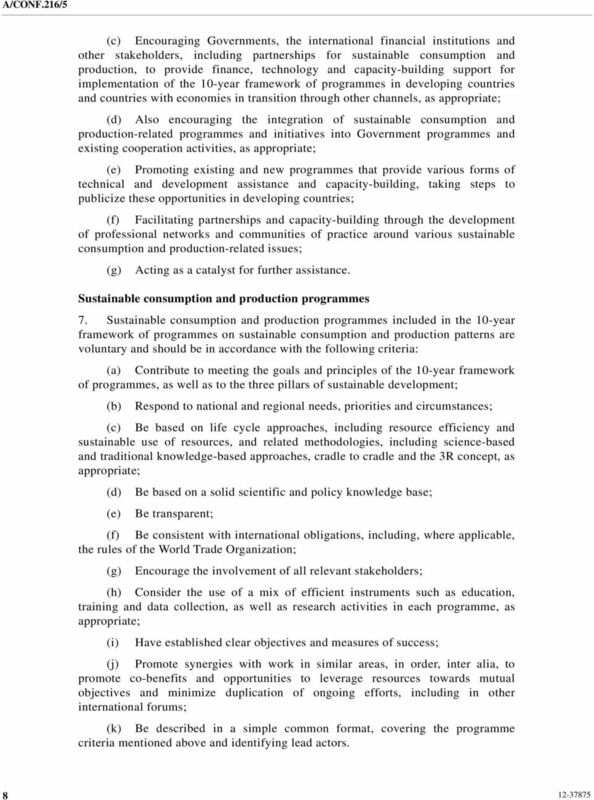 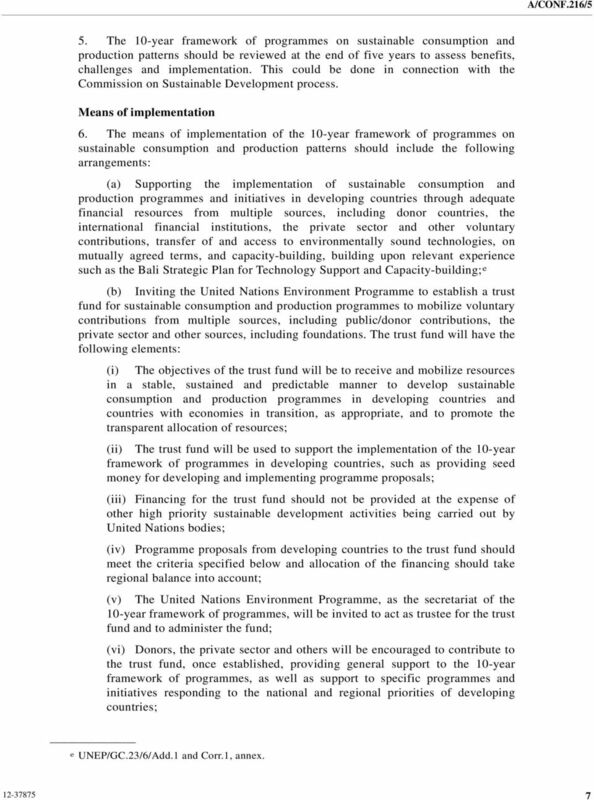 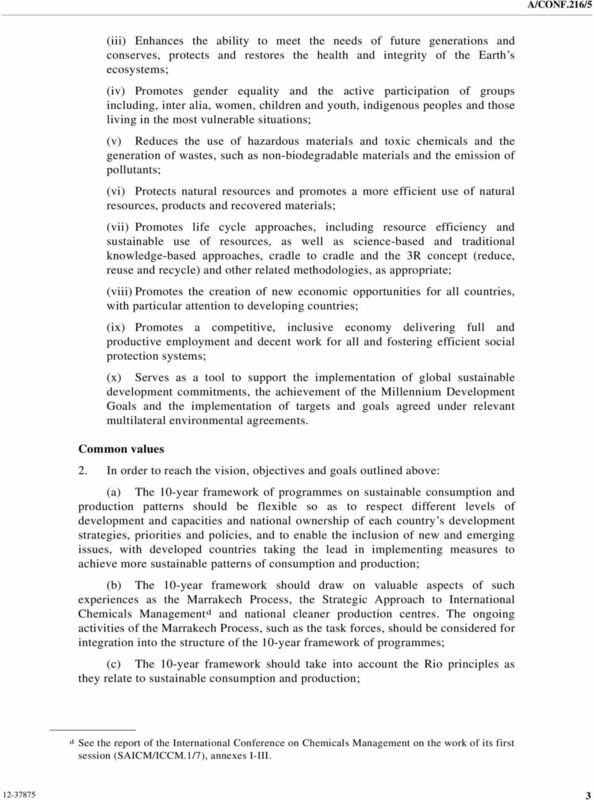 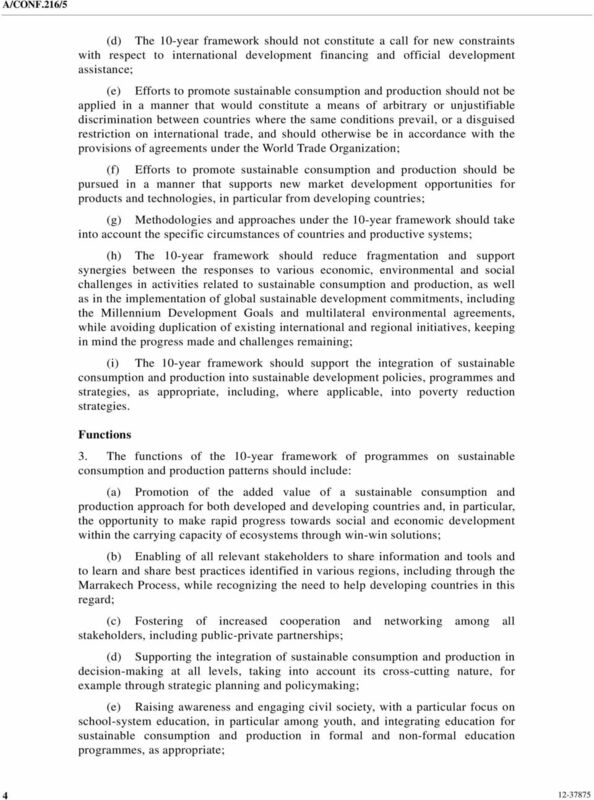 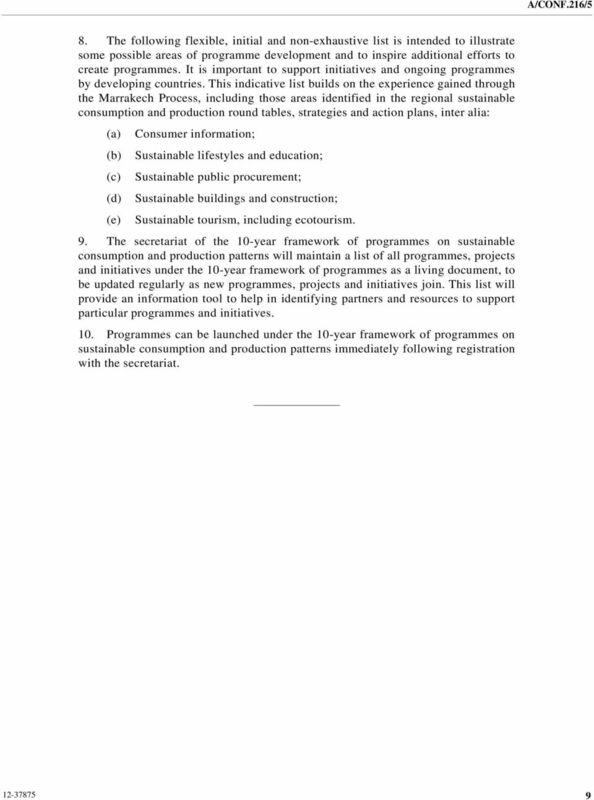 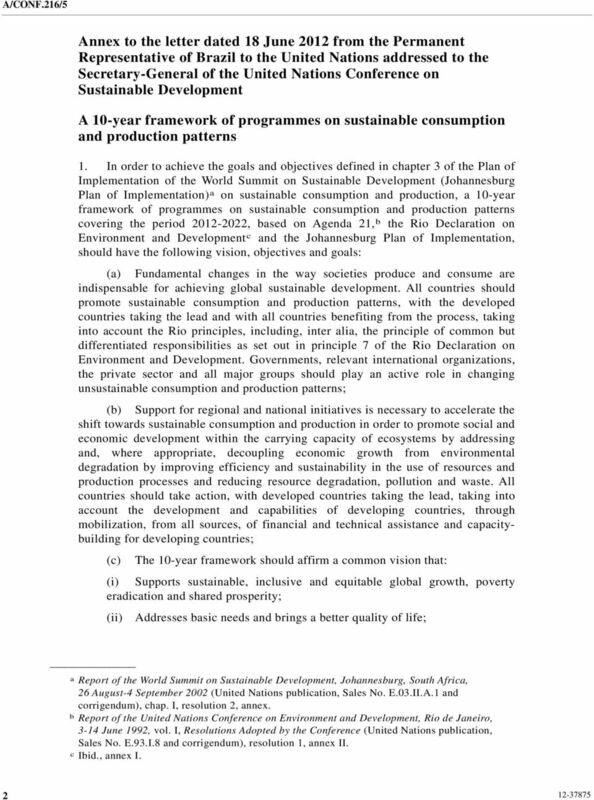 I should be grateful if you would kindly circulate the text of the present letter and its annex as a document of the United Nations Conference on Sustainable Development, to be held in Rio de Janeiro, Brazil, from 20 to 22 June 2012, under agenda item 10. 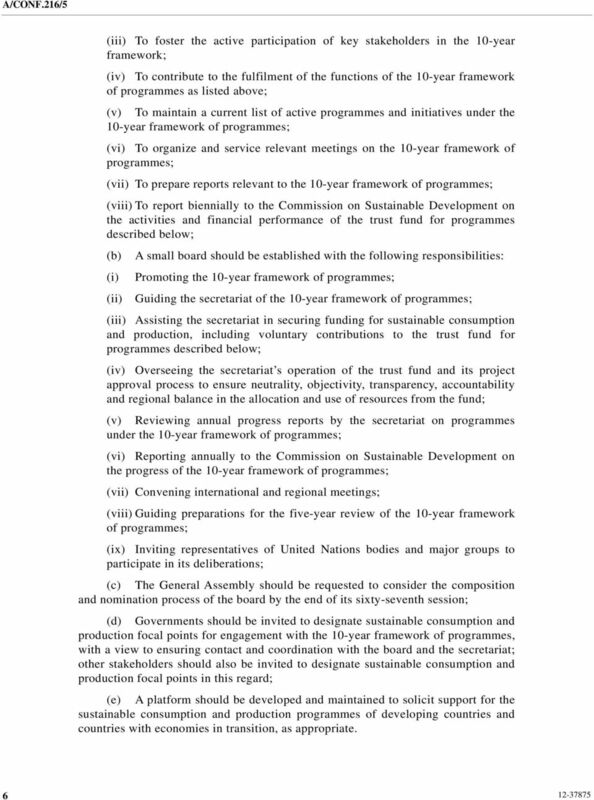 (Signed) Maria Luiza Ribeiro Viotti Ambassador Permanent Representative * (E) * * * Reissued for technical reasons on 20 June ** A/CONF.216/1.